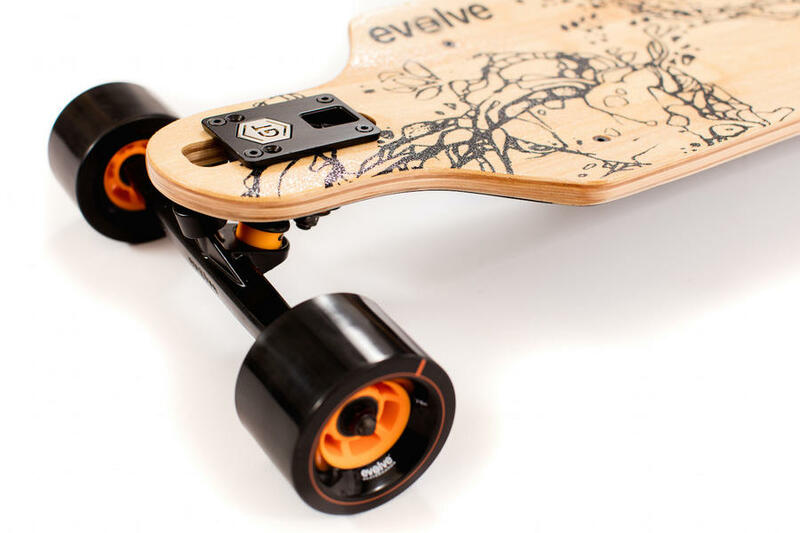 The Evolve Electric skateboards are all about having fun. 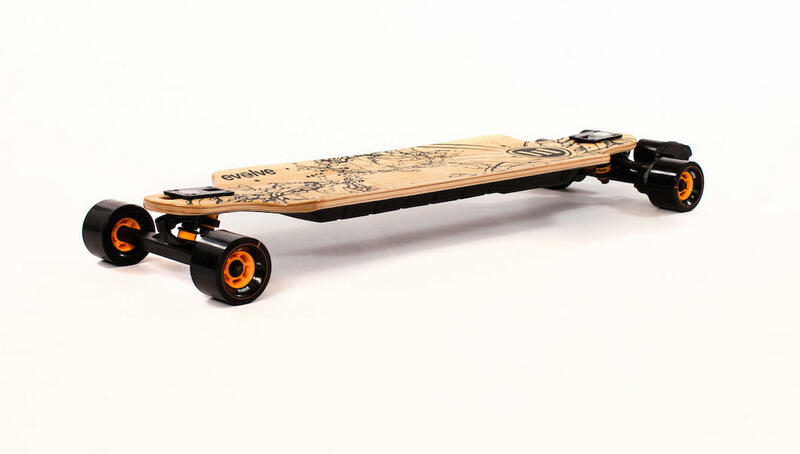 The Bamboo GT comes with 83mm street wheels, powered by 3000W of dual brushless motor power that will have you reaching a top speed up to 26mph (42 kmph). 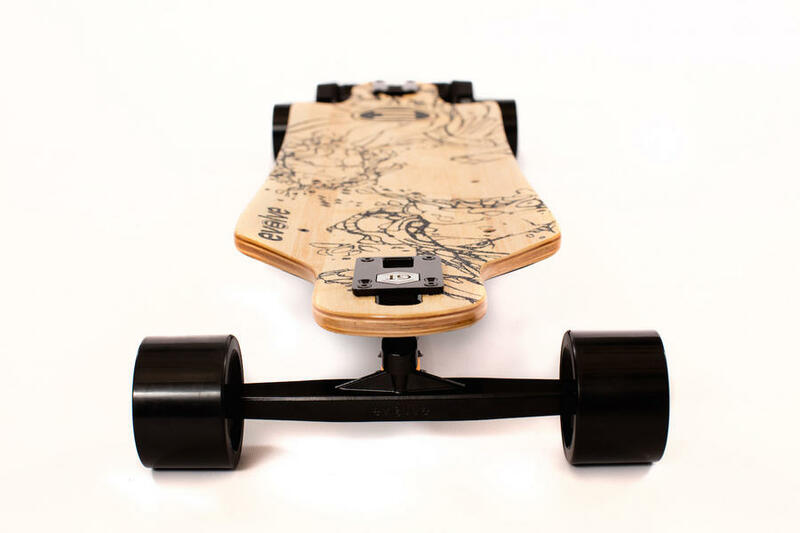 The Bamboo deck gives you a softer flex for a nice smooth longboard feel. 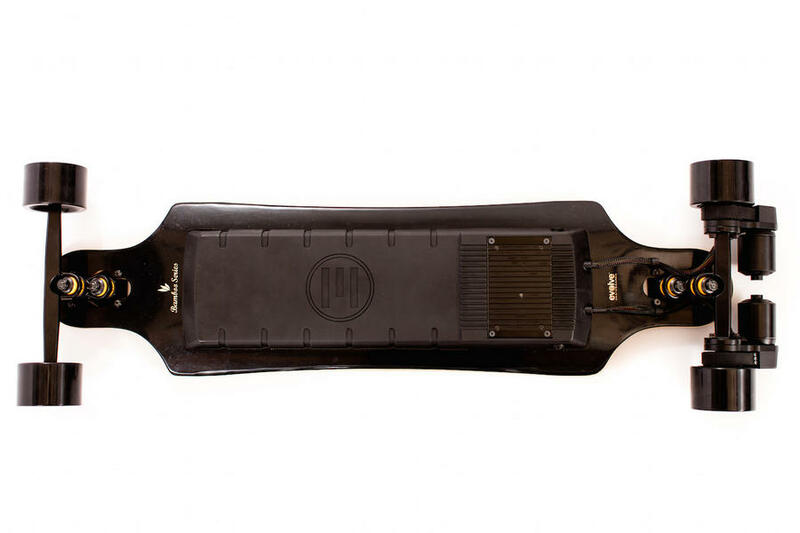 Riding on a Evolve Electric Skateboard is similar to riding a snowboard and the new wider super-carve truck system gives you improved stability whilst enabling tight carves. You control the speed, break and change the speed with one hand using the all new R2 Remote control. The Digital LCD screen allows you keep track of your top speed, battery power and adjust technical settings. The Evolve GT wheels are great for smooth and hard surfaces i.e tarmac, bitumen or concrete. The Street GT? wheels are not suitable for uneven surfaces or off road riding. The good news is that you can get a conversion kit and change the wheels over, if you fancy riding off road. We all like to have fun, for this product it is strongly advised that children under 14 years, or new to electric skateboarding, operate the boards under supervision with full safety gear including a helmet. Taking you up to 35km in just one charge, you will run out of path before you run out of battery! 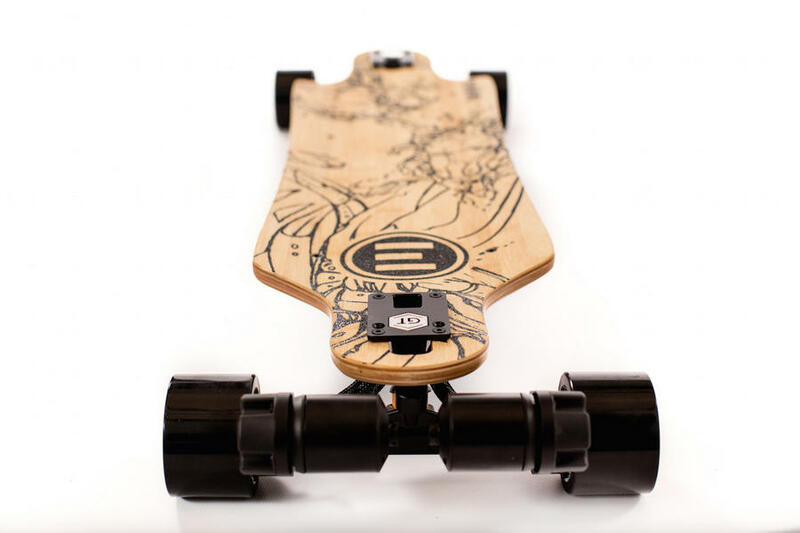 The Bamboo GT Street is the hybrid of unparalleled performance and traditional longboard style, an effortless low profile package guaranteed to draw both attention, and envy. 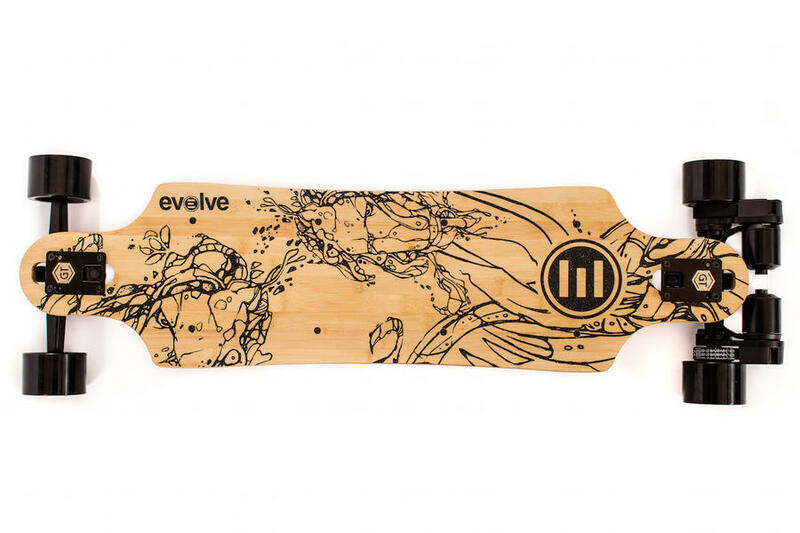 The Evolve Bamboo GT Street offers more riding modes than ever before allowing all levels of rider to enjoy the product safely with the added ability to adjust your mode while riding to suit conditions and maximize efficiency. Start your adventure using the “SLOW” mode. This will help you easy your way into riding an Evolve Electric Skateboard. Once you feel a bit more confident switch to “ECO” mode for a relaxed ride and unparalleled range. When you feel a little bit more brave you can switch to “FAST” mode to speed past traffic and turn your commute into a little bit more exciting. When you can master the FAST mode you can switch to “GT” mode to unleash the crazy power and acceleration with the ability to climb hills of up to 25% gradient! Check out the full list of features below. If you want to try a board before you buy, come and visit us for a demo! R2 Remote Control Included - Control your speed, break and other features. See list below for full list of features. Noise: Minimal noise - You can hear the motor but its not loud. Suitable for 15 years or older - It is strongly advised that children under 14 years, or new to electric skateboarding, operate the boards under supervision with full safety gear including a helmet. Range: Up to 35km/19miles range per charge for 85kg rider - Battery life depends on factors such as weight of rider, terrain, inclines and also the way the rider uses the trigger. Recharge: Approx. 3.5 hours with standard charger (Optional fast charger 80mins). ?